If TV shows and movies are to be believed, families of people in a vegetative state spend hours upon hours at the patient’s bedside, having one-sided conversations in the hopes that the patient will understand them on some level. According to research being carried out in hospitals around the world, the idea that people in a vegetative state are still at least partially aware is not complete fiction. 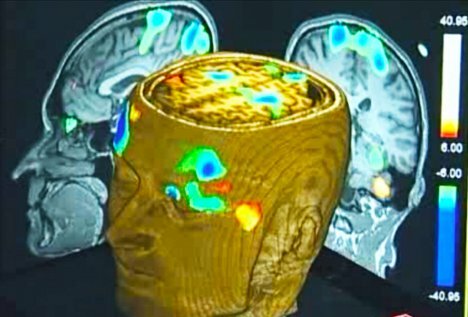 Recently, a vegetative-state patient in Canada was able to communicate with doctors via functional magnetic resonance imaging (fMRI). Scott Routley has been considered in a vegetative state for more than ten years. After just one year in a vegetative state, the condition is said to be permanent. Doctors used to believe that patients in a persistent or permanent vegetative state had no real level of awareness or cognitive function, but Scott Routley might be key in changing that perception. His doctors asked him to imagine certain physical actions in response to yes-or-no questions, with a different action representing each answer. After putting Scott into an MRI machine and asking him questions, it was clear that Scott’s brain was active. He was imagining the actions that corresponded to the “yes” or “no” answers. And for the first time ever, doctors were able to ask a patient in a vegetative state whether he was in any physical pain. Scott’s answer, to the relief of his medical team, was no. While it is fascinating to know that patients in a persistent vegetative state still retain cognitive function, it re-opens the perpetual debate about such patients’ right to die. Perhaps in the future, doctors will be able to ask the patients directly what their wishes are.